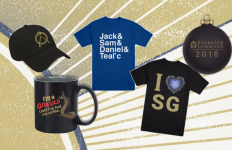 The development team behind MGM’s new Stargate digital platform has been busy, this week unveiling a new bit of functionality to meet viewer demand at Stargate Command. We’re happy to report today that the new casting function works great. 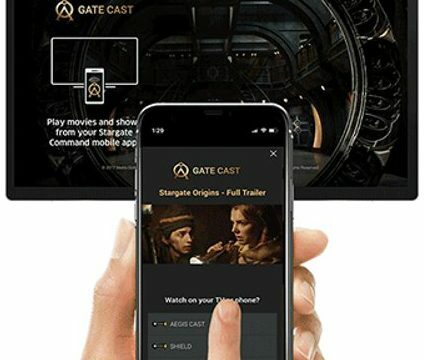 As with other cast-capable services this allows you to watch Stargate on your television with little effort, using your phone as a remote control. The interface is elegantly simple and familiar to anyone used to casting. It includes “Pause” and “Stop” buttons, along with a 30-second rewind. (This may be a bit buggy, as our first attempt to use it sent the episode back 10 minutes!) A progress bar also shows where you are at in the episode and allows you to jump backwards and forwards with a tap (though unfortunately there is no way to drag and scrub through the video). 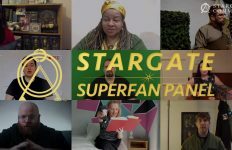 Stargate Command promises that support will soon be added for Roku devices, Amazon Fire TV devices, Samsung smart TVs, and LG NetCast televisions. The site’s video player does still have room for improvement. There is no auto-play of the next episode, and no memory of where you leave off in the middle of an episode — making it difficult to enjoy in chunks (say, during a commute). At least on my Android phone the casting interface can only be exited by pressing the “Stop” button, and when I return to the episode to pick up where I left off I must manually search for where I was in the episode. The video quality we are achieving through casting in preliminary tests is, for the most part, very good. 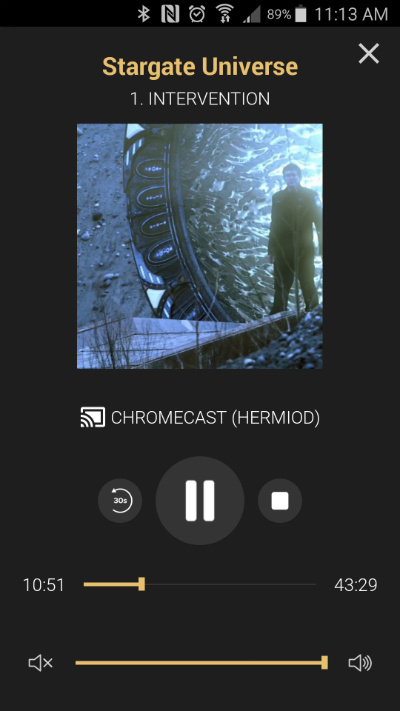 Casting SG-1‘s “Gemini” looks great on our Vizio HDTV with Google Chromecast. Buffering and resolution will of course depend on the quality of your network (and whether the casting device is on wi-fi or hardwired). While this is vastly improved over browser tab casting, initial impressions suggest that buffering is not as efficient as high-end streaming services such as Netflix and Amazon. The result is that, on occasion, on my wireless network the resolution alternates back and forth between poor and very good for the first few minutes of an episode. This was a minor annoyance when starting off SG-1 Season Eight’s “Endgame,” but then “Gemini” suffered no resolution problems whatsoever. Some occasional artifacts do occur. To make sure you have the new casting function, be sure to update your Stargate Command app on Apple or Android. While we wish the casting function had been there at launch, it does arrive just in the nick of time! 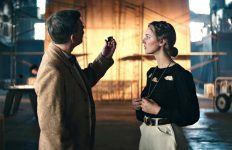 Stargate Origins premieres this Thursday, February 15, at StargateCommand.co.